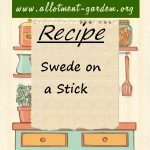 Recipe for Swede on a Stick. 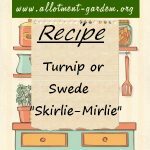 A most unusual recipe for the vegetable that usually gets the boring award! The orange and herbs mix really lifts the dish. Recipe for Swede baked with Cheshire Cheese. 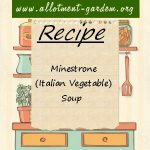 Transform a common vegetable into a special gourmet dish. Absolutely delicious. 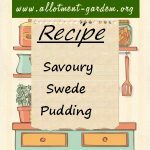 Recipe for Savoury Swede Pudding. Puddings have been a staple of English cuisine for centuries. It's only recently that the term has come to mean sweet.